Reincarnation is an ancient belief—perhaps the most ancient philosophical belief in all of Earth. Even now, in these "enlightened" times, more people on the planet accept reincarnation as a reality than do not by a factor of at least five. If this belief was totally unfounded, it would seem likely that its adherents would be fewer. As an ancient belief, reincarnation was not subject to tests. At best there were a few (or thousands) of anecdotes suggesting its existence, but which, by themselves, proved nothing. Edgar Cayce did not prove reincarnation. However, he did provide the most rigorously documented psychic evidence of it to date, and was largely responsible for the subsequent interest in it that led to books such as Twenty Cases Suggestive of Reincarnation and The Search for Bridey Murphy. For those unfamiliar with this man's history, allow me to provide a brief recounting of it. Born in 1877 near Hopkinsville, Kentucky, Cayce was the son of an uneducated farming family. A devout child of a religious family, it seemed natural that young Edgar would wish to become a preacher. However, between his educational challenges and lack of money, he could only attend school up to ninth grade. Then, when he was 21, he developed an extended case of laryngitis that seemed to end, forever, any hope of his serving Humankind in that capacity. Lasting over a year, the laryngitis resisted all attempts at treatment, until a local man named Layne offered to try hypnosis. Skeptical, but willing to try anything, Edgar agreed to the experiment. After putting him under, Layne asked Cayce himself what the matter was. Amazingly, Edgar answered in a normal voice—and suggested a treatment which, when followed, led to his full recovery! In subsequent years, Cayce discovered he could diagnose and prescribe cures for anyone's illnesses—even if he had never met the person-in this hypnotically-induced sleep state. He had no medical training, but that didn't stop him from prescribing treatments involving patent medicines, herbs, magnetism, electricity, chemicals, and other techniques that ranged far beyond the medical experience of most doctors of the time. 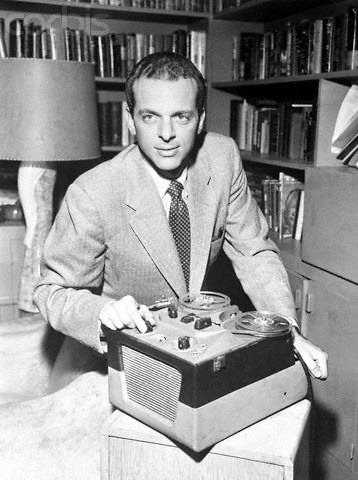 He performed these so-called "physical readings" while in a sleep-like trance. Every session was transcribed—there were often other witnesses present, as well—and the transcriptions were typed, indexed, and filed, something no previous psychic had attempted. Associated with the readings were follow-up interviews and statements from the patients, their families, and their physicians. Amazingly, every patient who followed Cayce's recommendations was healed! This is a success rate far beyond that which conventional doctors can hope to achieve; so it is of little surprise that Cayce's fame spread far and wide. Newspaper after newspaper investigated and reported him. No one was able to prove any degree of chicanery whatsoever (and they tried). In retrospect, it is surprising that it took as long as it did before anyone thought to wonder: If Cayce could so accurately answer questions regarding the health of a distant stranger while under hypnosis, could he answer other questions as well? Cayce was at once reluctant and curious. He attempted, through the years, to locate oil, predict the winners of horse races, and so on. His accuracy rating on these subjects was average, winning some, losing some; but that may have been a byproduct of his religious upbringing. Not only was his remarkable record tarnished by these failures, but he found the attempts to be physically debilitating. He awoke from such sessions feeling drained and headachy, and, after a few such experiments, decided to stick to the physical readings, which obviously provided aid to his suffering clients. Yet, when a wealthy Ohioan, Arthur Lammers, approached with a similar proposal, Cayce couldn't turn him down. Lammers didn't want knowledge to make himself rich; he was already rich. What he wanted was knowledge that could be shared with everyone, knowledge that could enrich the whole world. He wanted to know about life after death. They agreed to start small. While Cayce slept, Lammers asked him to cast his horoscope, a mathematical process for which Cayce had never received training. Nevertheless, in his trance, Cayce pronounced a quick horoscope, then added a puzzling statement. In reference to Lammers, he said, "He was once a monk." The sleeping Cayce then explained that astrology, as practiced at the time, was flawed because it didn't take into account a person's many lifetimes! Subsequent sessions revealed that each of us has many, many lifetimes, each one affecting the others. And, as unlikely as this seemed to Cayce, who was completely unaware that a majority of Earth's population entertained this same belief, references to reincarnation began to appear in his physical readings. A boy who had wet his bed for years, Cayce explained, was doing so in reaction to his having been a "stool dipper", a man who punished alleged witches by strapping them to a stool and dunking them in a pond in Puritan America. A college professor, born blind, had once been a member of a tribe that blinded its enemies with red-hot irons. A girl with infantile paralysis had once crippled others. If Cayce had made these claims and stopped there, we would have little cause to consider reincarnation. However, he didn't. In many cases he provided detailed information, such as names and addresses and occupations; and, in many of these cases, the lifetime described was recent enough so that the information could be verified…and, in every such case, it was. It would seem, then, that Cayce alone had "proven" the concept of reincarnation. However, though Cayce had carefully documented his readings, scientists were reluctant to accept his evidence because Cayce, himself, was not a trained scientist. And so scientists, and those who faithfully follow the priesthood of science, had to wait for a scientist to gather additional evidence. They did not have to wait for long. 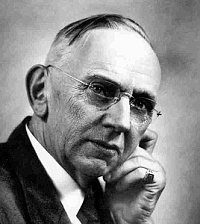 Edgar Cayce died in 1945, leaving behind a staggering legacy of data regarding health, history, and reincarnation. Slowly, the public gained interest in the possibility that reincarnation might be fact. Hypnosis, first discovered by Franz Mesmer in 1772. was also becoming widely known and used as a tool for quitting smoking (actually, in the 1950s, people were trying to cure themselves of "excessive" smoking), for relief of panic attacks and other psychological problems. It was only a matter of time before someone other than Cayce would attempt to use hypnosis to recall a "past life." Actually, Morey Bernstein had no intention of dredging up a previous lifetime when he first hypnotized Virginia Tighe, a West Virginia schoolteacher. She simply wanted to quit smoking, and to this end Bernstein, a professional hypnotist who specialized in this, planned to regress her, using a common technique, to her fifth birthday. Perhaps she misunderstood; perhaps she just overreached. Whatever the cause, when the hypnotist stopped his backward counting, Ms. Tighe was, indeed, experiencing her fifth birthday party…however, it was as Bridey Murphy, a toddler living in Ireland two centuries earlier! Bernstein was horrified but he couldn't resist further investigation. In subsequent sessions, "Bridey Murphy", who spoke with a distinct brogue and could even dance an Irish jig while hypnotized, described the town in which she lived, roads she had taken, and the people who were her family and neighbors. Because of the distance in time, it was difficult to check out all these details; but Bernstein felt it was necessary. They all checked out, save one: Although they had been able to locate a road that had long since washed away, and an abandoned town that had been a lively village in Bridey's time…no one was able to locate the baptismal records for Bridey, herself. In spite of all the other evidence supporting the idea that Ms. Tighe had had a previous life in Ireland, whatever her name, the whole case was declared closed when a Chicago reporter uncovered the fact that an Irish immigrant named Bridey Murphy had lived across the street from Ms. Tighe when she was a little girl. The fact that this Bridey Murphy had come from a different area of Ireland, a century later than Ms. Tighe had recalled for herself, was lost in the collective sigh of relief of thousands who were grateful they didn't have to rethink their places in the Universe; and so the case was laid to rest, now mostly forgotten. Yet, a present-day study of The Search for Bridey Murphy remains compelling in its careful documentation and conclusion that no other explanation than reincarnation explains all the facts. And a search of the Internet now for the name, "Bridey Murphy", turns up several unrelated hits. Apparently, the name isn't that unusual, after all…and Ms. Tighe's neighbor's name may have been a mere coincidence…or Ms. Tighe may have gotten her name wrong, after 200 years, out of several hundred pieces of data she got right. Fortunately, not all scientists gave up on the search for proof. 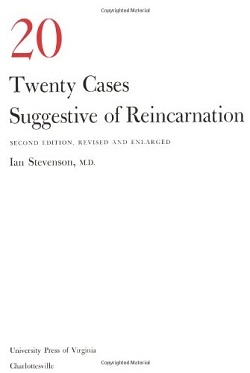 Dr. Ian Stevenson, a psychologist who studied more than 600 cases of claimed reincarnation, painstakingly documented each one and chose just 20 for inclusion in his book, Twenty Cases Suggestive of Reincarnation. One of the most impressive cases is that of a young Indian girl, Shanti Devi, who was born in Delhi in 1926. At the age of three, she began to recall details of a former life in the town of Muttra, some eighty miles away. She said she had married a cloth merchant, given birth to a son and died ten years later. People in India already believe in reincarnation so Shanti was not scolded or ridiculed as most American children are when they report similar memories. But Shanti went on and on about this previous life, to the point that her frustrated parents sought help. They were concerned that she might not ever release these old memories so that she could live the life of a little girl. Finally, when she was nine years old, her family wrote to her alleged former husband, who then visited her home unannounced. He was immediately recognized by little Shanti. Plans were then made for her to visit her former family, in hopes that whatever business she had left uncompleted there, if completed, would free the little girl to live her new life. A committee was set up to witness her visit to Muttra. Although her alleged former family was present, they stood back while other villagers masqueraded as them. Nevertheless, Shanti ignored the imposters and correctly identified every one of the family members. She then led the way to her former house, which she recognized and, in fact, revealed that she had hidden money there. She pointed out the hiding place, but it was empty: Her former husband admitted he had removed the money. The prestigious American Medical Association reviewed one of Dr. Stevenson's earlier books, written on just ten meticulously investigated cases of reincarnation specifically from India. In the review they said, "In regard to reincarnation, he [Stevenson] has painstakingly and unemotionally collected a detailed series of cases from India, cases in which the evidence is difficult to explain on any other grounds." How much proof is needed? We have a world history in which reincarnation is accepted, specific examples which have been studied and verified in all important points. If this was a murder trial, well, suspects have been hung on less evidence. It is time to stop wondering if reincarnation occurs, and get to the next step: figuring out how it occurs, and working out how our lives should be affected by this knowledge.